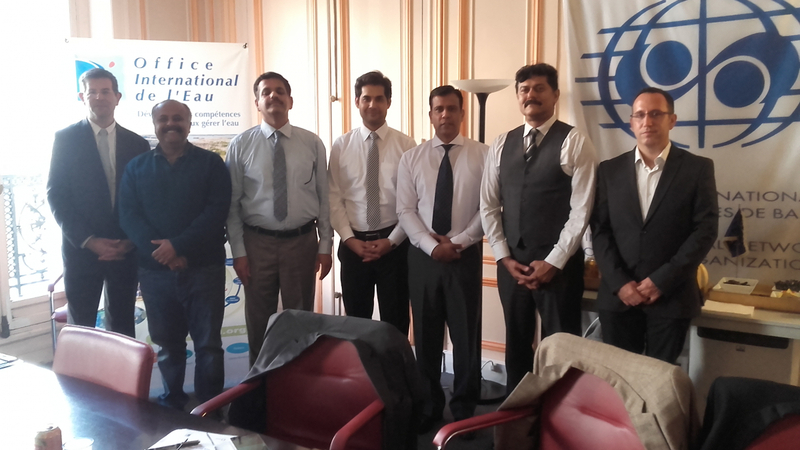 On behalf of the French Development Agency (AFD), the International Office for Water (IOWater) organized a study visit for a delegation from Pakistan on sanitation and training from 15 to 19 October. The delegation was composed of members of the Water and Sanitation Agency (WASA) and the Al-Jazari Academy (water skills training) in Lahore, and the AFD in Islamabad. Currently the city of Lahore (11 million inhabitants) has a sanitation network but still no wastewater treatment plant. With a view to the construction of several stations, which will be among the first in the country, WASA Lahore carried out this study visit in order to benefit from the French experience in this field. Thus, exchanges on governance, regulations and technical aspects were organized with several French actors: the City of Paris, the Syndicat interépartemental pour l'assainissement de l'agglomération parisienne (SIAAP), Limoges Métropole. Visits to infrastructure (Seine Amont - Valenton Wastewater Treatment Plant) and technical services for the management of wastewater collection networks in Paris completed these exchanges. Finally, the delegation was able to visit the National Training Centre for Water Professions (CNFME) in Limoges, in order to discover the pedagogical approaches and technical facilities needed to strengthen the skills of water and sanitation service personnel.